The Vancouver Heights welcomes you just move in, unpack and get settled. Incredible North Shore Mountain views while you sit on your front porch or while being cozy on your couch. Updated 6 yr ago with Espresso Wood Floors, Bathroom and Kitchen with Oversized Island dressed in Granite Counter Tops & SS appliances. Brand New Roof, Paint, Newer Furnace & H/W Tank. Below has roughed in kitchen ,1 bedroom, Large Rec room & Sep entrance for future poss. 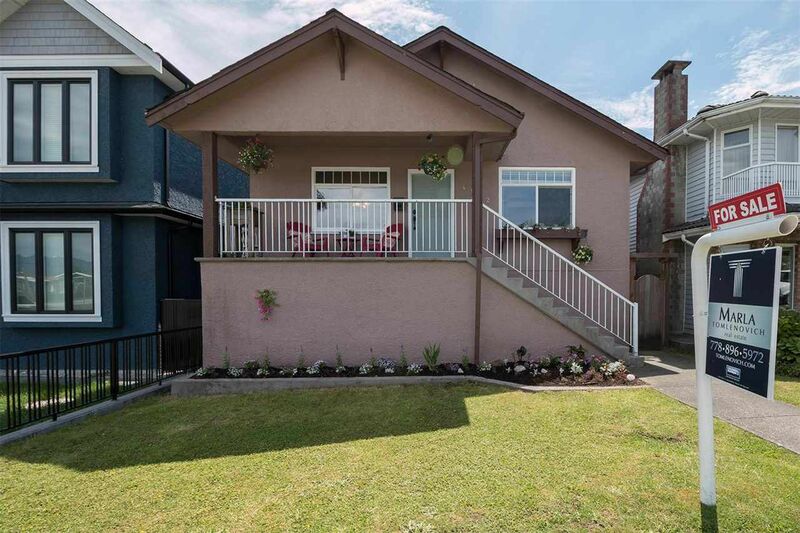 Steps to Hastings St "The Heights" with local Eateries & Shops and walk to Schools, Eileen Daily Rec Centre or a quick commute to Downtown, N. Shore and SFU. Perfect home for young families, downsizers or investors! First Open Thurs June 23rd 6:30-7:30pm & Sat/Sun 25th/26th 2pm to 4pm!